It's time for another round of "what's playing on my iPod! Check out these tunes straight off my brand new 2014 running playlist! I'm still rocking my Fall 2013 playlist too - I can't get enough of Katy Perry's Roar! What's your favorite song to run to this season? Do you get nightmares? As a group fitness instructor, my nightmares are usually along the lines of showing up late for a class, not having the right equipment or music, or showing up without knowing what I'm going to do for a workout. Well yesterday, one of those nightmares unfortunately came true! As I was climbing up the four flights of steps to get to the group fitness room for my step aerobics class, I realized I left my iPod charging on my desk at work. That desk is about a 15 minute walk from the gym, so going back and getting it was not an option. After about 5 seconds of panic, I thought there HAS to be some music with a constant beat somewhere in this building. I called down to the group fitness director and she said she'd send some music up. Great, crisis averted. Or, so I thought. The first fifteen minutes of class is for first time steppers, where I just go over some basic moves before the class gets going. We don't use music for this, so everything is good. As everyone is arriving and setting up their benches, I couldn't get the CDs to play! It wasn't that long ago when I made the switch from CDs to iPod, but I couldn't figure it out. At this point, we're about two minutes into class, and everyone is just standing around. My last resort? Me: "Does anyone have an iPod with music on it?" Participant: "Can we play Pandora?" I had to get these people MOVING! So, we put on the pop station, and I start the warm-up. Only the music is pretty slow. Rihanna, I love your beats, but they're just not for my step class. Good enough for the warm-up, but it wasn't going to cut it. "Okay, what else do we have?" A participant reluctantly volunteered her iPod with her running playlist. She was afraid to be judged by her music - isn't it funny how personal our running playlists can be? We got started, and the second song that came on was the perfect speed - Can't Hold Us, by Macklemore. We're flying through the workout, my heart rate is climbing and I'm starting to sweat. Step class has been saved! I was planning on just playing Can't Hold Us on repeat - I didn't want to risk a slower song coming on, but the next song was Pump It, by Black Eyes Peas - even faster! I'm now confident that the workout is going to be okay, and I started to relax. We used those two songs for the rest of class (sorry to my class if you guys are now going to dream about them), and we managed to still get through three combos! At the end of class, one of my regulars said, "I think that wound up being harder than a normal class!" Mission accomplished? I think so! The joint was fizzlin' & we put our hands up! Would I plan for a class to go this way? Absolutely not! But sometimes, you just have to improvise and "roll with the punches". I'm so thankful that my participants were patient with me and were able to laugh with me about the mistake. I apologize for forgetting my music, but please don't forget - we're human too! Thank you steppers! I'll be thinking of you as we stuff our faces with turkey next Thursday! I'll see you in December. Have you ever had a fitness nightmare come true? It's hard to believe that it has been over seven years since I started teaching group exercise classes. According to my quick calculations, that means I've taught about 900 classes. While according to Malcom Gladwell, author of, "Outliers", I have a long way to go before I become an expert (approximately 9,100 classes), I have certainly learned a lot over these past seven years. It is often the highlight of my day, and a extra special class can maybe even be the highlight of my week. I've made such great connections with not only the participants in my class, but the other instructors as well. When you get a group of instructors together, you can't help but talk about your classes that week, and yes, sometimes we even talk about the participants (mostly good things, I promise). So, I put together a list of 10 group fitness instructor "confessions". ENJOY! And I mean LOUD! In a perfect world, the music would be so loud that you couldn't hear me, even with the mic - you would be able to read my mind to know what we're doing next. I may have the music taste of a 12 year old girl (cue the Justin Bieber and Taylor Swift), but I like my music loud. It gives me energy. Some people drink Red Bull, I listen to my music loudly! We all have bad days, but as a group fitness instructor, you check your day and everything that went wrong at the door. You put on a happy face for your participants because they paid to get a great workout in a happy environment. The beauty of it? By the end of the class, we usually forget what was bugging us that day. We put a lot of time into putting together a challenging workout for you. We aren't keeping track of your weight, so don't try to impress us. We will notice and correct you if you aren't using proper form though - we don't want you to get hurt! You want to put a ton of weight on your bar for the bicep track in Bodypump and then do bicep rows the whole track? Oh, that's nice, but we're curling over here. We're not impressed. Just like loud music, smiling and happy faces give us energy. We're not comedians, and I know most of the time our jokes aren't funny, but humor us and give us a chuckle. It lets us know you're paying attention! It sometimes is embarrassing to ask you your name for the third, fourth or even fifth time. It's even more embarrassing when we've had about ten conversations about your new sneakers, your upcoming wedding, your kids, but I don't even know your name. Personally, I'm terrible at remembering names, so I apologize. It doesn't mean I don't remember you. I remember that you did your first push-up on your toes last week, I remember you finally got that hamstring combo, but I most likely don't know your name. Unless your feedback is that the music is too loud. Just kidding - it's your class and if you want the music lower, I will begrudgingly oblige. Some people wear earplugs to my class - just saying. But seriously, we want to make the class the best for you as the participant, so be sure to let your instructor know your thoughts! I'm actually pretty lonely in the camp of "I don't care if you bring your phone into my class as long as you aren't disrupting the class", but most (if not all) of my instructor friends think you should leave your phone in your locker. At least half of what I've learned about group exercise classes has been from taking other instructors' classes. It helps us develop as an instructor and also gives us an idea of what else is going on at the gym. We LOVE teaching group exercise classes. I mean REALLY REALLY REALLY love it! But, sometimes, we like to work out on our own too. It's a much different type of workout, and it gives us time to work on things that can't be addressed in a group setting (and time to come up with those crazy moves we're having you do during class). I've said it before and I'll say it again - one of the best part about teaching group exercise classes is the connections we make with other people. We watch people struggle, reach goals, smile, grunt - really every emotion comes out during our classes, and we're there for it all. This hour is often the best part of our day, and YOU are the reason why! Are you a group fitness instructor with a confession? Share below! Some of my favorite running songs are "oldies" and classics, but lately I've been itching for some new beats. This Fall, I'm listening to current music. My taste is a little all over the place, but it keeps me guessing and helps me play around with my pace while running. Sometimes there's nothing like a song that is brand new to you to help you forget about your aching legs. What's on your playlist this Fall? Remember that iPhone commercial - "There's an app for that"? It's hard to believe that commercial is already FOUR years old! In today's world, there truly does seem to be an app for everything - and the fitness world is certainly proof of that. Fitness guru Chalene Johnson offers great advice on "How to Lose Weight with your smart phone (PART I & PART II). Although I don't have an iPhone (I DID just get an iPod touch and I have an Android phone), there are many gadgets an apps that I use to help keep up with my health and fitness. There are SO MANY out there, I can't possibly talk about them all, but here is a list of ones I use (or have friends who use) to get you started. 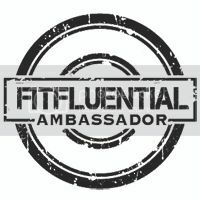 Check these out if you want to start taking health and fitness more seriously. Whether it’s losing a few pounds, training for that first marathon or just being more active, there's an app for you! This watch won't give you turn-by-turn directions (although the newer models do allow you to download courses), but it will tell you your current speed, the distance you have run and the time it took you run that distance. You can set goals and sync it with computer software that will help you analyze your runs. This is great for both the casual runner as well as someone training for a marathon. Nike Plus is an app you can download that can either be used like a GPS watch on a smartphone or with a sensor that you can attach to your shoe. Similar to the GPS watch, you can sync the data with software that will report your progress back to you. Like all good apps, Nike Plus has achievements for reaching certain fitness goals. Fitbit is a wearable activity tracker that is a small, lightweight device that clips onto your clothing or fits into an elastic armband when sleeping. It tracks the number of steps taken each day, the amount of sleep one gets each night, is sensitive to movement and offers a look into the number of calories burned each day. Users can view their levels of activity in graphs, food and calorie intake and add in other data, such as blood pressure, mood, etc. The Nike+ FuelBand takes Nike + to a whole new level. It is another activity tracker that is worn on the wrist. The Fuelband allows its wearers to track their physical activity, steps taken daily and amount of calories burned. The information from the wristband is integrated into the Nike+ online community and app, allowing wearers to set their own fitness goals, monitor their progression and compare themselves to others in the community. Nike+ turns all tracked movement into NikeFuel points, which can unlock achievements. MyFitnessPal is a free smartphone app and website that tracks food intake and exercise to determine optimal nutrients and caloric intake for the users goals. You'd be surprised how much more you think about what you're eating when you track everything you put in your mouth. With packaged foods, you can even scan the barcode to enter in the nutritional information! This app is great for setting weight-loss and exercise goals. Tempo Magic allows you to change the BPM (beats per minute) of your music AS IT'S PLAYING. You can also load playlists directly from iTunes. It's $4.99 through iTunes, but worth every penny if you use it! It's great for runners and cyclists who like to get into a cadence while running, but it's also great for group fitness instructors who want to teach at varying BPMs throughout the class. This app was my savior when I made the switch from CDs to my iPod (which was embarrassingly just last month). Hal Higdon ran eight times in the United States Olympic Trials and won four World Masters Championships. He has contributed to Runner's World Magazine more than any other writer and is constantly offering tips and advice to runners worldwide. Whether you're training for a 5k or a marathon, Hal Higdon has the training plan for you (I used his marathon Novice Training plans for both of my marathons)! His Training Peaks software offers much more than a training plan, but the plans themselves are free. Also, be sure to follow him on Facebook for his "tip of the day". Diet Bet offers a social dieting platform that asks users to make a financial commitment to encourage themselves and their friends to hit their weight loss targets. Users create teams that compete against each other, with the person who loses 4% of their starting weight taking the pot. Post below and let us know what fitness gadget or app YOU are using? Last night I took a class at Body Cycle Studio on Chestnut Street in Philadelphia. The class was led by Jessica Sullivan @ 5:30pm. I'm generally hot & cold on spinning - I've taken some amazing classes, but I've taken some pretty boring ones too. It's definitely the type of class that is highly dependent on the instructor and the music! So, I decided to try a class out at Body Cycle - first ride free, so you can't go wrong, right? You have to sign up through their online system (something that's becoming increasingly popular with the rise of boutique fitness studios), which is a little annoying, but WAY better than showing up and not getting into the class. Plus, they have a mobile app, which makes it a little bit easier. Wednesdays are my non-teaching days, so after looking at the schedule, the 5:30pm class was best for me (the 6:30pm, class, taught by Shoshana was waitlist only). the Body Cycle studio - lots of bikes! I got to class about 15 minutes early and the employees there were SUPER friendly and SUPER nice. My cousin Sarah even got a free ride for bringing a friend for the first time, and Russ, the owner, helped us all get set up on a bike. I liked that the resistance on the bikes was digital and numbered, so there was no guessing about your effort level (you know, that ambiguous "half a turn increase"). Jess, the instructor came in right on time and we were off! Now, I've maybe taken about 25 spinning classes in my life, so I am by no means an expert, but it was BY FAR the TOUGHEST spinning class I have ever taken. I'll be honest, for most of the class I was struggling to keep up with the resistance level and RPM that was suggested. And the jumps with the claps - definitely a point when I just wanted to stop. But you know what? I loved it! Even if I had to constantly use that voice in my head to yell at myself ("you've run TWO marathons, certainly you can get up to 115 RPM for just 20 more seconds"). Jackie, Sarah and I AFTER class - can you SEE our sweat? I was probably only about half-way through the class before I ran out of dry spots on my towel to wipe my sweat - and I LOVE to sweat. The music was awesome too! My only complaint is that I like when the music and the suggested RPMs go together - it's so much easier for me to hit a certain RPM when I can just go along with the music. But, I know you can't do that AND do varying sprint intervals, so I guess you have to pick and choose. I was happy to report that with a little warming up before class officially started, I hit a little over 20 miles on the bike! I'm now determined to go back to that class and really hit all of those RPMs! (I'm also super intrigued by the 6:30pm class - the people taking that class were stalking the bikes like vultures, anxious to get started on their ride!) But I can't get over how CHALLENGING the class was for me. I am constantly challenging myself with lifting weights with P90x and Les Mills Pump, seeing how fast I can run and trying not to take breaks in Insanity, Asylum and T25, and I'm always seeing improvements. It just goes to show how much your body can get "used" to a specific workout, even if you're constantly challenging yourself. I'm sure someone who does spinning 5 times/week would feel challenged by a workout that I am comfortable doing, if it's one that I do all the time. Many running coaches would advise you to cross train, not only to build muscle and prevent injury, but also to improve your fitness level. Whether you're a runner, training for a race or you just want to get in better shape, cross training and keeping variety in your workouts is SO important. Varying your workout routine not only prevents boredom (and perhaps the likeliness to skip a workout), but it also helps avoiding or delaying a plateau in workout performance and training results. It can also help you complete a challenging workout without just increasing your time/reps. At some point, you're going to run out of time! ACE fitness reports on a study performed by exercise scientists at the University of Florida. This research showed that individuals who modified their workouts every two weeks over an eight-week period appeared to enjoy their workouts more and were more inclined to stick with their exercise programs when compared to individuals who followed the same workout regimens week after week. Varying your exercise routine can also help you stay physically challenged. Many of the body's physiological systems (e.g., the muscular system) adapt to an exercise program within approximately six to eight weeks. If you do not modify your exercise routine, you reach a plateau because your body has adapted to the repetitive training stimulus. So, how can you keep your workouts varied? If you're a runner, try incorporating some intervals into your run. You can also cross train with exercises such as spinning and swimming to provide your body with a new challenge. If you're resistance training, try changing the order in which you complete each exercises. When you fatigue the muscles in a new pattern, you're introducing a new stimulus to your body. Also, try incorporating kettlebells and stability balls into your typical dumbbell routine. Or, as in my case - just try something completely new! Even extremely fit people can be challenged when trying something new! How can you add variety to your fitness routine? What is something you've been wanting to try? I used to think that people who ran without listening to music were CRAZY! But, this summer, I'm training for the Philadelphia half marathon with my husband, so I ditched the iPod for some conversation. Unfortunately, my husband told me that MY talking slows HIM down. So, I've recently reconnected with my iPod and I'm loving it! I truly believe that a great running song can help you stay at a certain pace, and a not-so-great song will slow you down. My taste in music is constantly changing, but I'm sharing with you my current top 10 running songs. Try them out and see if they give you a boost! With the exception of the last song (my ALL TIME FAVORITE RUNNING SONG -check out the pic of the shirt I wore to the Pittsburgh Marathon), my playlist is constantly changing - adding new and current songs, as well as dusting off some old favorites from 'back in the day'. What are your favorite running songs?